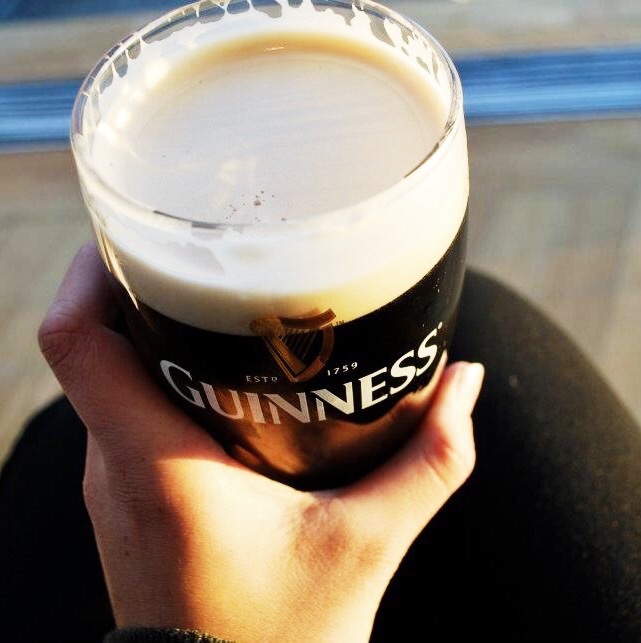 It isn't St. Paddy's Day without a pint of Guinness. Once upon a time my friend and I decided to backpack through England and Ireland for 10 days. Our time in Dublin was the highlight of the trip. At our hostel, we meet new friends who welcomed us into their group and we all ended up exploring Dublin together. Between exploring the city's sights, checking out historic pubs, and stumbling upon an amazing Irish jam band in Temple Bar (another story for another time), we had a blast. As it turned out, we had a free afternoon before dinner and decided to investigate the Guinness Storehouse in St. James Gate. Entry tickets are a little pricey at €16.20 per adult, but it also includes a pint and a half of Guinness that you would otherwise be paying for at a pub. 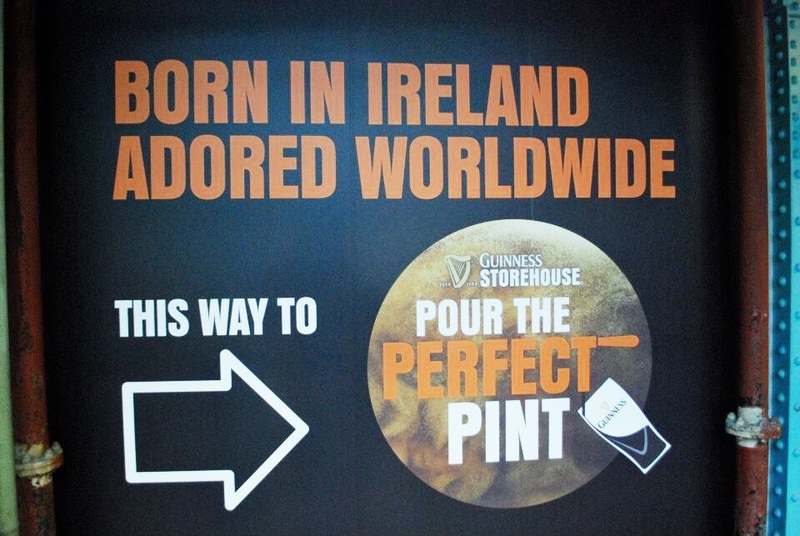 Once inside the 111-year-old storehouse, the history of Guinness and the brewing process unfolds through a self-guided tour of interactive features and impressive facts about the draught. Being that the Guinness Storehouse is such an iconic part of Irish history and that it has employed so many Irish men and women throughout its time, visitors can search for their ancestors in the Guinness database. This should go without saying, but the most fun part of the tour was learning how to pour the perfect pint and then tasting a full pint at the Gravity Bar overlooking Dublin. If you have a free, rainy afternoon in Dublin, the Guinness Storehouse is a fun stop to learn more about the country's most iconic beer. The best interactive station. Without a doubt. TO FAR TRAVELS AND GOOD TIMES WITH NEW FRIENDS. Overlooking the city of Dublin and nursing my perfect pint of Guinness at last.